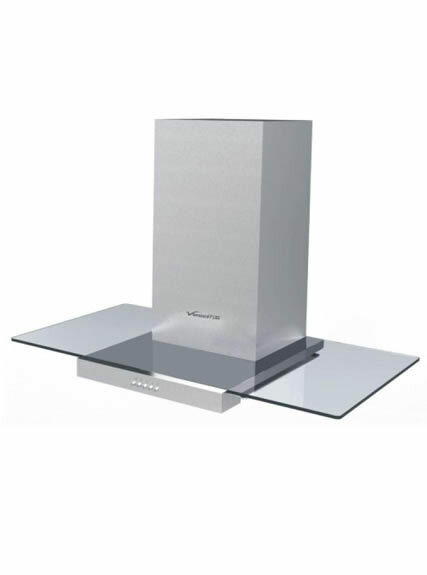 Canopy range hood, endowed with various shapes, uses high quality stainless steel and glass material. Renowned as a specialized China electric chimney manufacturer in China, our electric chimney is of high efficiency in dispersing the smells and smoke in a kitchen. 1. 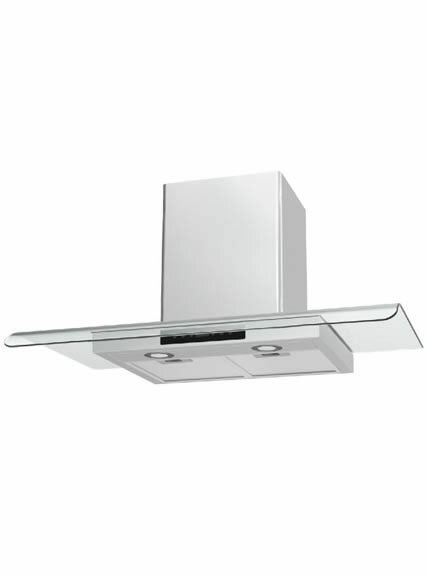 Canopy range hood has stable external bearing motor with low noise. 3. 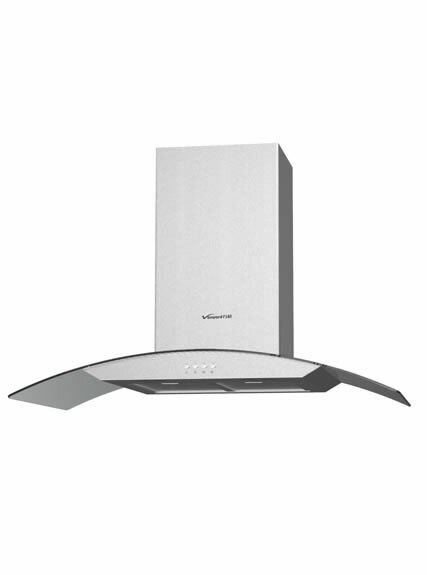 Electric chimney is with fashionable and convenient touch control. 5. High efficient oil screen: combine oil filtering and draining and smoke exhaustion. 6. Fast extraction rate prevents the spreading of lampblack once upon it is produced. 1. 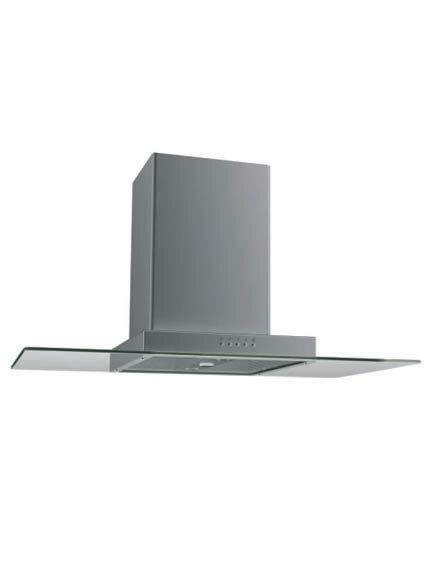 The installing height of canopy range hood should be appropriate, for the ease of cooking and ensuring effective suction radius can cover the whole cooking range. 2. In order to avoid too much noise and vibrations, oil dipping or leaking, etc, regular cleaning is needed to prevent grease buildup on your cabinets and appliances. 3. When using the electric chimney, please keep good ventilation in kitchen. This can avoid making a negative air pressure in a certain space above the cooking range, which ensures the good extraction ability. 4. Please do not dismantle the hood for cleaning without any professional guidance. The follow methods suggested only apply to cleaning the exterior of the canopy range hood (impeller included). As for interior parts, please resort to professionals. 1. High pressure cooker: After the water is boiled in high pressure cooker, take off pressure limiter, let the steam come out, and use high heat steam to wash fan blade. 2. Dishwashing detergent and vinegar: immerse the fan in the warm water mixed with detergent (3-5 drops) and vinegar (50ml) for 10-20 minutes. Wash electric chimney with a clean cloth. 3. Use a soap to produce paste. Scatter it to the components that need to be cleaned. 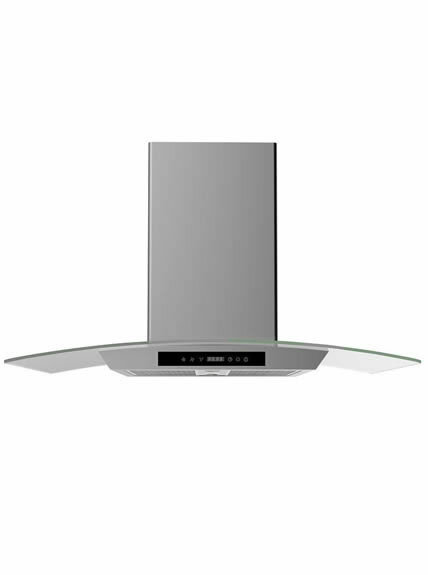 After the canopy range hood has been used for a period of time, take off the impeller. Grease can be removed simply by wiping with a cloth. 4. Please disconnect power when cleaning. The hood case and panel should be cleaned regularly. Do not use gasoline or chemical solvent for cleaning. 5. Waste oil that trapped in the oil collection cup should be disposed regularly. 6. Do not directly wash the electric chimney with water, incase of water damage to electrical components.